The Meeting Place – Albury Racing Club – Country Racing at its Best! An ideal location for a large or small gatherings, undercover with a garden aspect located across from our majestic Elms in the Beer Garden. 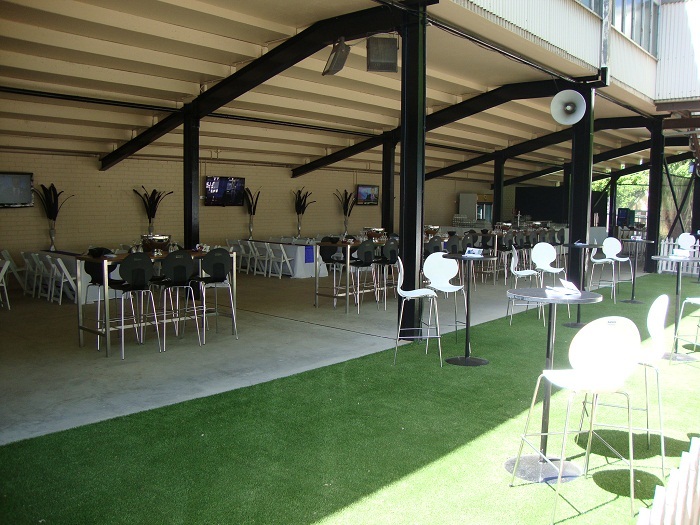 Full use of the Meeting Place area is ideal for groups in excess of 100 or when divided our large bay including Bar area is suitable for groups in excess of 50 and smaller bays are available for groups 30 – 50. Racecourse admission and full television coverage of local and interstate racing is available in our packages.